With a long Adriatic coastline, peppered with islets and secret coves, medieval cities, fragrant lavender fields and untouched lakes and native forests, Croatia is a feast for the senses. Explore the rugged islands and sweeping beaches of Croatia’s Adriatic coast, and wander at will amongst the cathedrals, museums and galleries of the classy city of Zagreb. 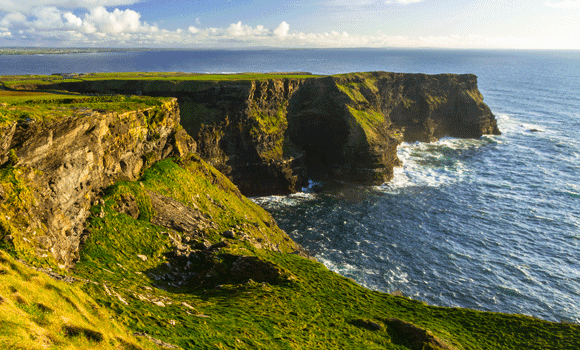 Ireland’s craggy cliffs and cozy pubs, quaint cottages and vibrant city nightlife will keep you enthralled. Home to the best in luxury and accommodations with refined finesse, Morocco will grab hold of your senses and win your heart. Enjoy the best that the Rainbow Nation of South Africa has to offer – as well as being blown away by the astonishing Victoria Falls. Enjoy historical landmarks, striking modern architecture and vibrant street culture in some of France and Spain’s most colorful cities. Perched on the westernmost edge of Europe, Portugal’s blend of history and natural beauty means it punches far above its weight as a vacation destination. Remnants of ancient civilizations, lofty snow-capped peaks, and a long Pacific coastline define the fascinating country of Peru. If you’ve ever dreamed of sipping crisp wine and sampling farm-fresh cheese on the Italian countryside, this experience is for you. It’s a 10-day luxury culinary escape to Rome, Siena, Florence, and Tuscany. Embark on a dazzling tour of Japan, and experience ancient traditions and space-age technology jostling for room in a country that’s pulsating and serene at the same time. Fall in love all over again on this adventure filled with history as rich as its flavors. Begin in the whitewashed paradise of Mykonos, centered right in the heart of the Cyclades, home to some of Greece’s most important archaeological ruins. Hands down the best travel service I have ever used. Our trip to Cuba was phenomenal thanks to Luxury Trips. From the minute we stepped off the plane we received first class treatment the entire week. I highly recommend this company to anyone looking for presidential-like treatment on their next adventure….